The first thing (after breakfast) for me to get was a new chain. Durango had a choice of two motorcycle shops, so I, together with Mark, went to the nearest one. They only had a standard, non-O-ring chain, so I went for that and we got back to the motel for another episode of Ghetto Garage, "Chain change". A few of us (including me) also needed new tires. This time we took the other shop. Luckily, they had all the tires we needed on stock and promised to have the three bikes ready in the afternoon. 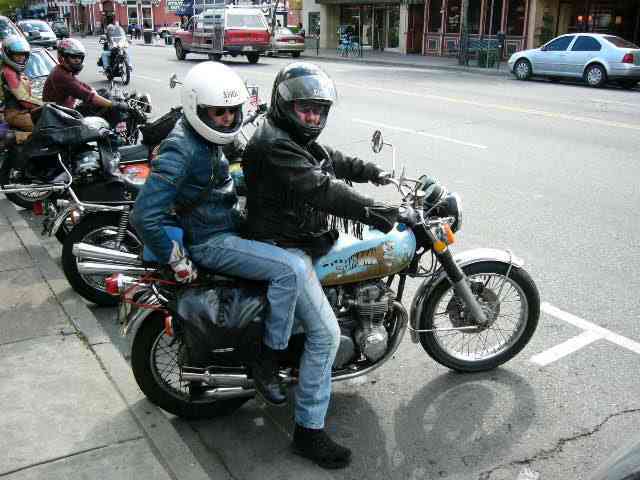 We put all the people on the remaining bikes - I had the opportunity to ride Ute's 550 with Tim on the passenger seat. Amazing how easy the 550 handles compared to the 750 (not to speak of the chopper)! We went downtown Durango, looked out for an Internet Cafe, but the only one we found only had three PCs which were all busy. But Durango had enough to offer, it's a nice town and above all, it was in preparation for a Harley rally on the following weekend. There even is a narrow gauge railway which connects Durango and Silverton. 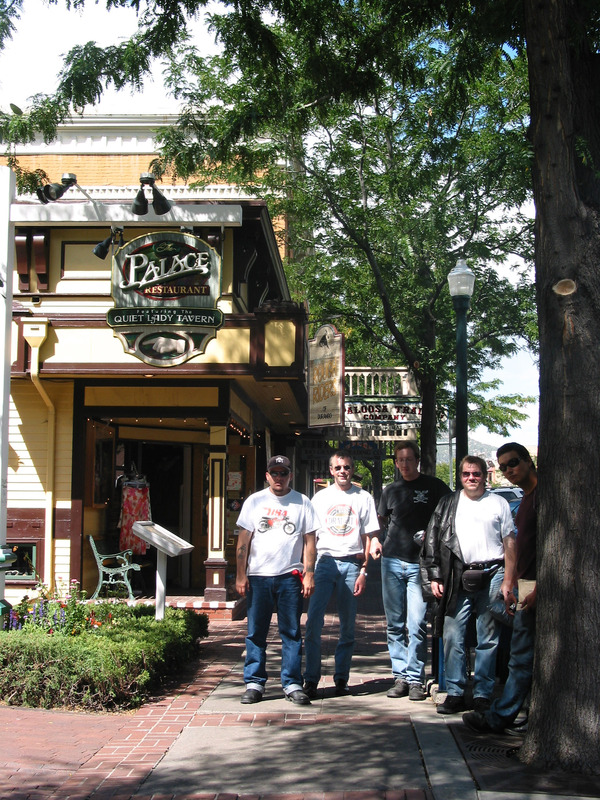 A historic club keeps it alive, along with the station and a museum. In the afternoon we went to the dealer to pick up our bikes, which were all ready ahead of time - fantastic! 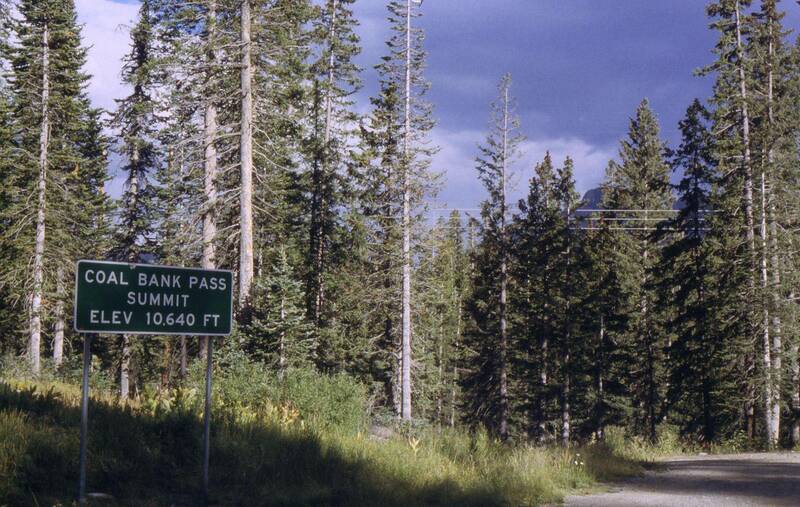 We took CO 550 up to Coal Bank Pass, elevation 10,640'. Middle of the Rockies. 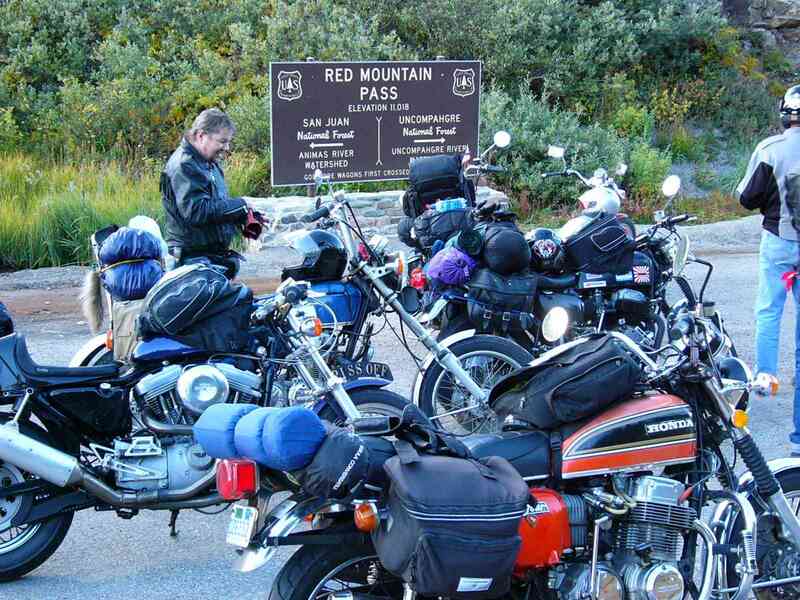 Dustin, who wasn't prepared for the colder climate in the mountains had left the group to make it to New Orleans on his own on a more direct route. 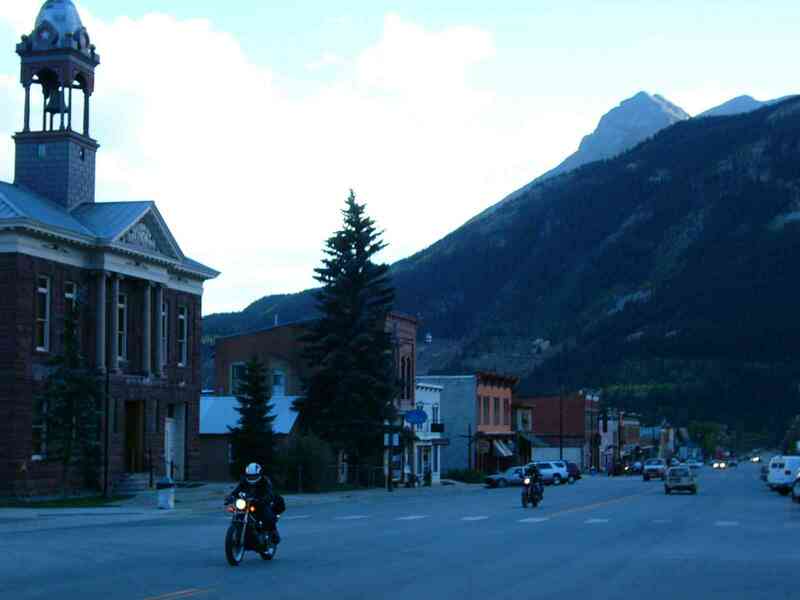 We continued on CO 550 to Silverton, another mining town in the middle of the Rocky Mountains. 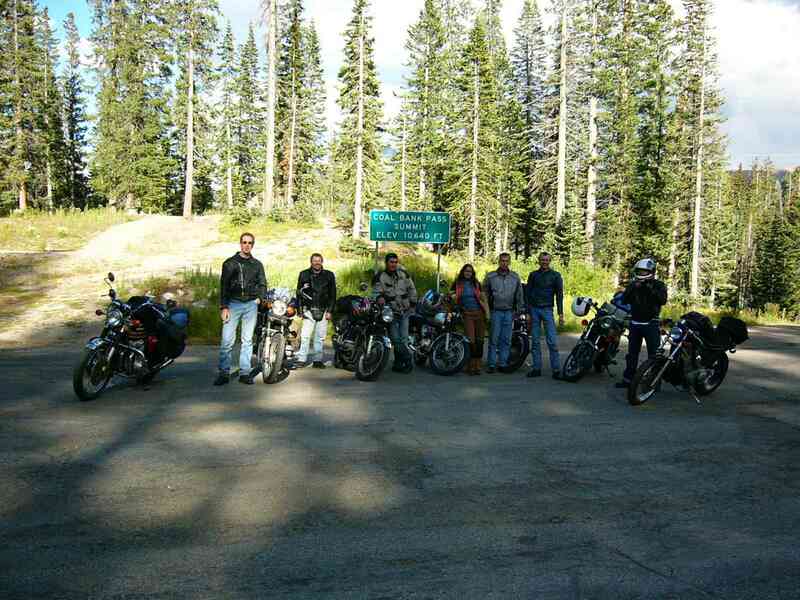 CO 550 took us to the Red Mountain Pass, 11,018' high. 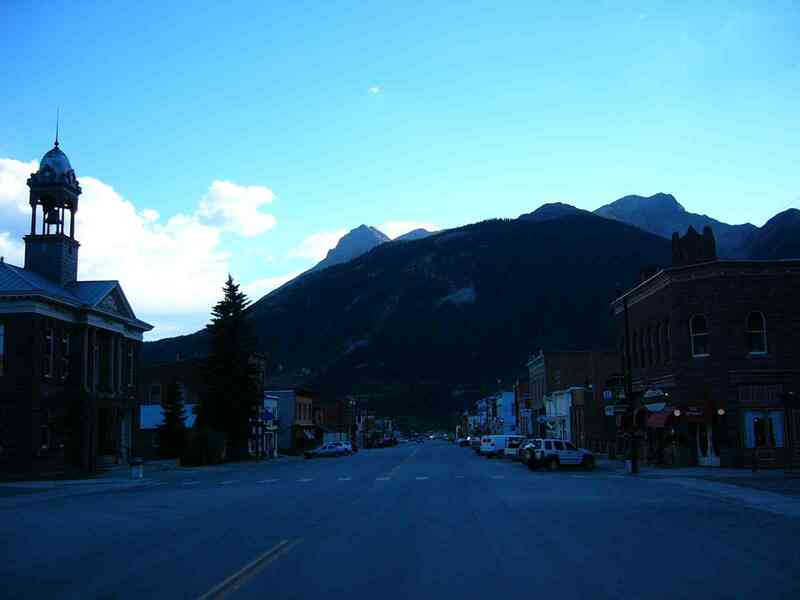 The part of Rte 550 between Silverton and Ouray is also known as the Million Dollar Highway, either because it had cost a million Dollars to build it, or because they found so much gold ore in the ground during construction. Either sounds plausible - the Rockies are quite impassable, and the cities around here are old mining towns. We ended the day in Ouray, also known as the Switzerland of America and set up our tents on a campground there.